SANTA ROSA, Calif. — The first Alias electric car from industry pioneer ZAP Jonway (OTCBB:ZAAP – News) has been sold to distribution partner Samyang Optics (Kospi: 008080.KSE) of Korea. Samyang Optics has taken delivery of a red Alias that first appeared at National Automobile Dealers Association Expo in New Orleans. 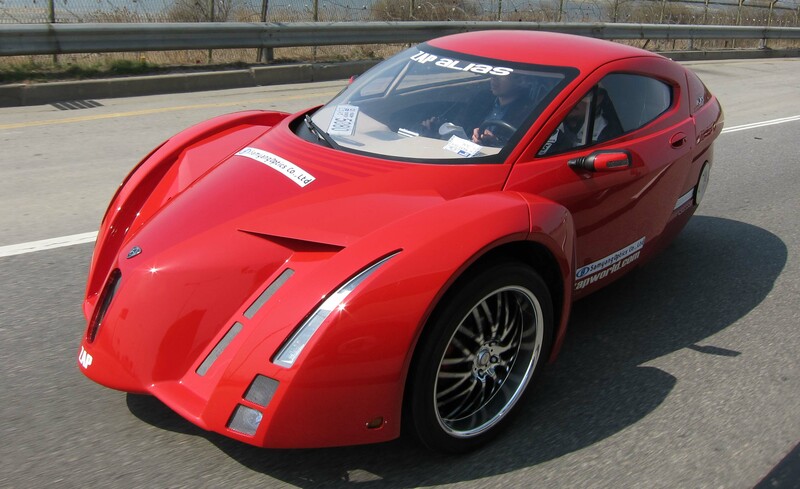 The same Alias debuted to the public earlier this year at the Korea EV Challenge, sponsored by Samyang Optics. Samyang Optics and ZAP Jonway have formed a business venture to introduce electric vehicles (EVs) to Korea. The government’s goal is to commercialize EVs and capture 10 percent of the global market by 2015. Korea wants EVs to comprise 10 percent of domestic small car sales by 2020. The Alias is a finalist in the Progressive Insurance Automotive XPRIZE, a global competition that will award $10 million in prizes to teams that win a rigorous stage competition for clean, production-capable vehicles and exceed 100 MPG energy equivalent (MPGe). It is among nine vehicles remaining from the original 136 that started the competition. The winners will be announced September 16, 2010 in Washington DC. Further details are available at http://progressiveautoxprize.org. ZAP is one of the oldest and most experienced EV providers, having delivered over 117,000 of a broad range of vehicles to more than 75 countries since 1994. ZAP supplies electric trucks and vans to military, government and corporate fleets and is an innovator of electric motorcycles, scooters and ATVs. The Santa Rosa, California based company offers some of the only electric city-speed cars and trucks in production today. Further news and information is available at http://zapglobal.wordpress.com. This press release contains forward-looking statements. Investors are cautioned that such forward-looking statements involve risks and uncertainties, including, without limitation, continued acceptance of ZAP’s products, increased levels of competition, new products and technological changes, ZAP’s dependence upon third-party suppliers, intellectual property rights and other risks detailed from time to time in the ZAP’s periodic reports filed with the Securities and Exchange Commission. The ZAP Alias is attracting fans from all over the world, but nowhere more than Asia. From the Korea EV Challenge to the Beijing Motor Show, to automaker Jonway in Hangzhou, to Japanese tourists — the fan-base for the Alias continues to grow. Thank you to Samyang Optics for putting on this fantastic show for the Alias. John Travolta, you might want to go on a Grease Rivival tour to Asia with the ZAP Alias! 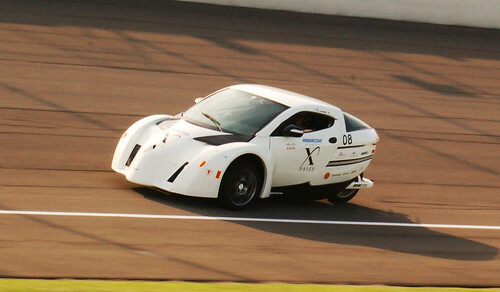 Don’t miss the ZAP Alias in the upcoming finals of the Progressive Insurance Automotive X PRIZE, July 19 – 29 at Michigan International Speedway in Brooklyn, Michigan.